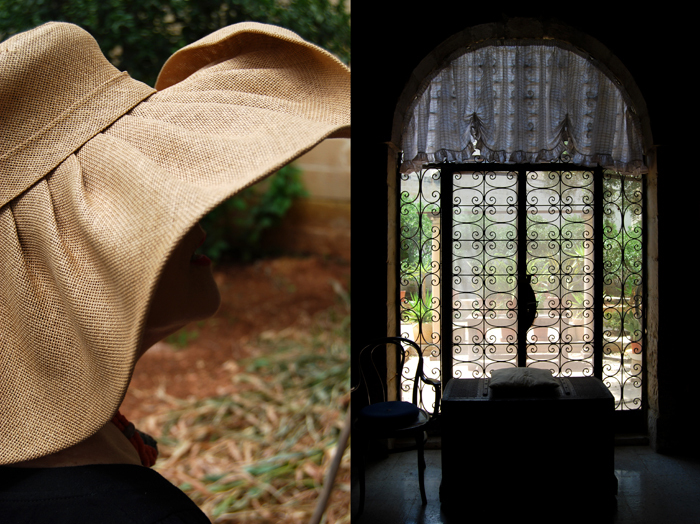 When I walked into Mary Licari’s house it felt like I had entered another world! You can’t even call her home a house, it’s an old watch tower extended into a spacious palazzo, with thick walls of limestone, built hundreds of years ago, with a beautiful big garden. The building itself was changed and expanded over the past centuries until it became the beautiful place which it is today. It’s full of history and magic! 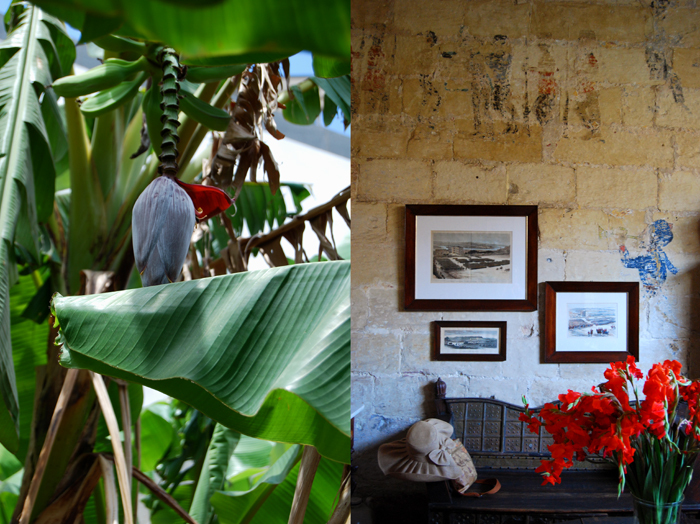 A few years ago, Mary found old wall paintings from 1878 in some of the rooms. The scenes in the entrance hall show soldiers from India and England who were stationed in Malta at that time. In the dining room she found colourful paintings of the Hindu goddess Kali, associated with empowerment. Ironically, Mary has felt very close to India for many years, its culture, religion and philosophy. She spent several months there with her daughter studying Ayurveda, its practice, diet and yoga. When she bought this place with her husband, she felt a strong bond to it, she could feel its unique atmosphere. Mary is a woman of many talents, she is curious, creative and determined. Be it her passion for cooking, her interest in vegetarian and vegan food, or her love for the arts, design, architecture, fashion and furniture, she follows them with a strong will to learn and to enjoy her life’s journey. She found lots of inspiration in the strong women in her family, like her grandmother Nina who traveled the world at a young age as a cook for a British Admiral. 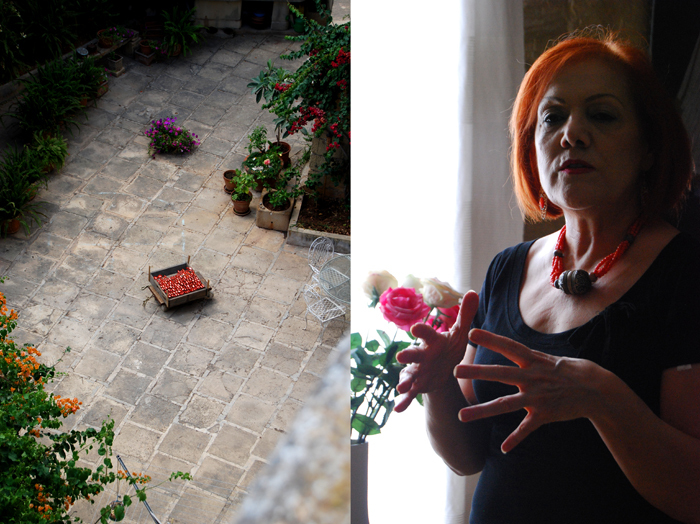 Mary herself, who has followed a non-meat diet all her life, has become a well known cook and caterer in Malta specialising in vegetarian cooking. She has been responsible for the culinary care of several Hollywood film stars while they were filming in Malta. Before we started cooking, Mary and I walked though her house and garden which is a green oasis filled with 60 trees! Two kinds of oranges, lemon and tangerine trees grow next to peaches, almonds, pomegranate, banana, sweetcorn, tomatoes and much more. She finds a lot of what she needs for her cooking right in front of her kitchen window! 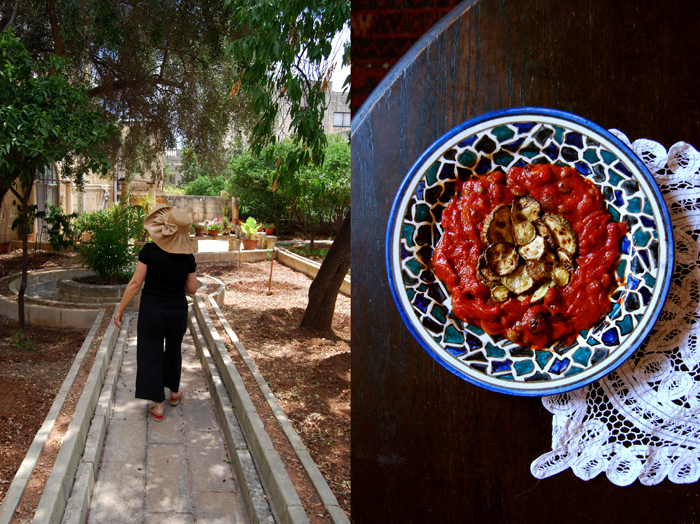 When we went back to her kitchen, she told me what she would cook for me: Mary chose two of her personal favourites to share on eat in my kitchen, Qarabaghli biz-Zalza, a traditional Maltese dish made of sautéed zucchinis and a fruity tomato sauce which can be enjoyed cold or warm, and round marrows stuffed with vegetables. Both were absolutely delicious! During our kitchen activities, Mary treated me to her fantastic homemade vegetable sushi and her crunchy cookies made of dried fruits, seeds and oats. I could have stayed with Mary for days! There was definitely enough food and so many fascinating stories of her life to listen to! Cut off the tops of the 4 marrows and keep as lids. Scoop out the inside of the marrows and set them aside with their lids. In a pan, sauté the onions in a little grape seed oil till golden and put them in a big bowl, mix in the cooked potato. Sauté the chopped zucchini seasoned with a little salt until golden brown and add to the onions in the bowl. Sauté the bell peppers and carrots separately for a few minutes and add both to the bowl with the onions. Rinse and dry the aubergine and sauté for a few minutes, add to the onions. Season the vegetable mixture with salt and pepper to taste. Fill the 4 marrows with the stuffing, sprinkle with parmesan and close with the lids. Put the the marrows into a baking dish, fill the bottom of the dish with water and put in the oven. Turn down the heat immediately to 180°C / 355°F and bake for 45 minutes or until the marrows start to soften. Serve warm or cold. Heat a splash of grape seed oil in a pan and sauté the zucchini till golden brown and soft, set aside. In a large pan, roast the peppercorns without oil until you smell a nice aroma and set them aside. Heat a splash of grape seed oil in a pan and sauté the onion for a few minutes till soft and golden, add the garlic and cook for 1 minute. Add the tomato passata, cover with a lid and simmer for 45 minutes, add a bit of water if the sauce gets too dry. Add the capers, olives and roasted peppercorns and season with salt to taste. You can mix the zucchini with the sauce or serve it separately arranged on top of each other on a big plate. Enjoy either cold or warm together with fresh sourdough bread. When and how did you start to become interested in vegan and macrobiotic diets and lifestyle? World cuisine, most of all Mediterranean food has always fascinated me especially dishes which are meatless. I was born vegetarian – since I was a baby I would spit out meat when it was given to me. It was not easy at the time growing up in a country where meat was very widely eaten. Each time I said I did not eat meat, people looked at me as though I was an alien. Even when travelling and living in Italy, all those years back people could not understand how I would not eat meat. I learnt all about cooking techniques in Italy where I lived for some time before getting married. People ate a lot of meat there too but they would also eat plenty of vegetables as Italians have always been great agricultural people. Thank God that today even in Malta we have skilled farmers who are producing vegetables and fruit using no pesticides and giving us organic produce. We are also blessed with a lovely climate. Therefore it was quite normal and easy for me to go into veganism. 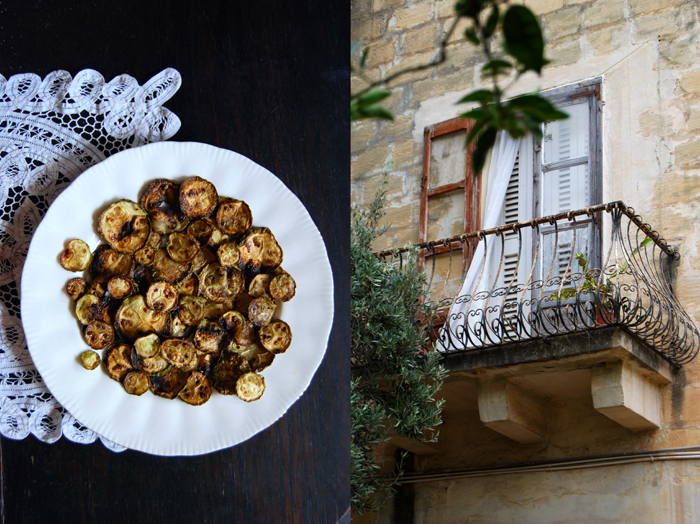 In recent years, when I travel, especially to Italy I take masterclasses exploring new ideas and sharing with other veggie people our love and passion – the subject of food. As for macrobiotics – from an early age my daughter, Alexia, was very interested in Japanese culture and started to study Japanology. It was she who came across macrobiotics. That was way back before I became intrigued with this diet and my interest in it started about 12 years ago. 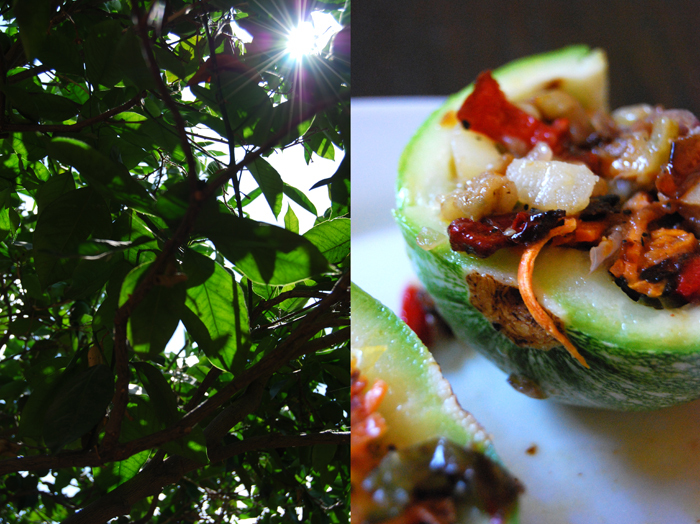 I was also learning about Ayurvedic cooking and later on started learning about raw food. Gradually I started formulating recipes from all these diets for my lifestyle and those of others. I also ventured in creating eggless and butter free, margarine free cakes, dairy free and sugarless cakes, cookies and sweets. You’ve been responsible for the private catering for several Hollywood film stars while they were filming in Malta. How did you get into this very specific kind of catering and what are the differences to other catering requests you’ve had? Being involved directly with Hollywood actors and film directors was very exciting and came by chance. Since I had plenty of knowledge and experience in various cuisines especially in healthy, clean and honest food, I was asked if I would cook privately for A-Listing actors. The golden rules for optimum results are: choosing the best and freshest ingredients, preparing everything from scratch and by hand, being versatile and creative (cooking at least 3 to 4 dishes daily), cooking with a passion and to perfection, presentation on table on time (not even 5 seconds late!). I have cooked food for over 120 people quite a few times, for dinner and cocktail parties, events for various associations with the primary intention of promoting healthy food and encouraging people to incorporate new eating habits in their lifestyle. Sometimes there are also particular requests for a menu, such as Indian vegetarian food, raw food, macrobiotic food, pasta based dishes, pizza gatherings and more. From time to time I give master cooking classes both locally and overseas and share my knowledge regarding good honest clean food. You’ve traveled to India together with your daughter to study Ayurveda therapy with professors of the University of Jaipur. How did this experience affect your life and your relationship with your daughter? Around 16 years ago, my daughter (who is also vegetarian) and I, attended an Indian wedding of friends residing in England. We were introduced to an uncle of the bride. He is an Ayurveda doctor, Reiki master, a Yogi and a university professor in the U.K. He is a true scholar of many philosophies and of life itself. This was one unique encounter which fascinated me so much that it inspired me to delve deeper into the philosophy of Ayurveda. I had been practising yoga for a number of years, and it was then when I discovered that yoga was in fact a branch of Ayurveda. This increased my interest further, and I started to research in detail and learn more about Ayurveda. My daughter and I, have always had a special bond and also share similar interests. Therefore, we both decided to travel to India where we spent several months studying both the theories and practical sides of Ayurveda with doctors and university professors about this ancient philosophy – science of life. We learnt how to prepare Ayurvedic food – which is the food for each person’s ‘dosha’ (constitution). This new knowledge opened a new horizon and I became more and more interested in Indian culture – a culture that I had always loved. I also became interested in Reiki and I am a certified practitioner. 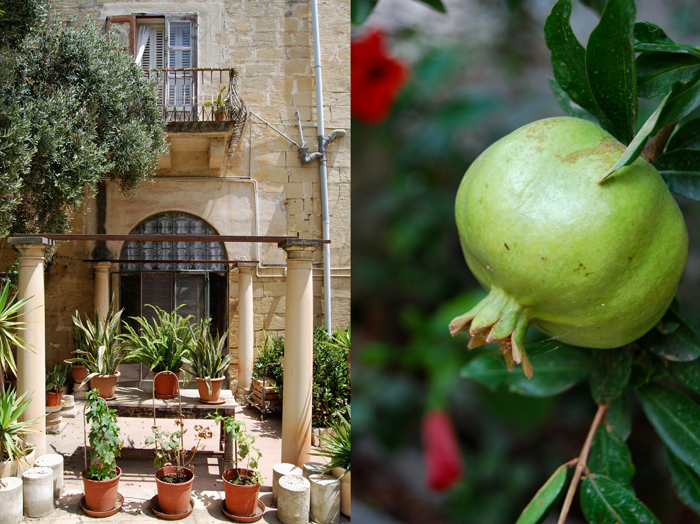 When we returned to Malta we opened our studio offering innovative beauty, holistic therapies and authentic Ayurveda treatments and food, yoga and pilates classes. Besides your interest in cooking, diet and health you renovate houses and refurbish antique and vintage furniture, covering the process of planning to execution by yourself. What do you like about these design projects that also involve your own physical effort? I love ‘bringing life’ back to something that has been discarded! When I was young, at my mother’s house I would scrape walls of layers of paint until I got down to seeing the beautiful limestone. One afternoon during school summer holidays and while everyone was asleep, I started scraping the hall in our house. My mum woke up from her siesta and upon seeing what I was up to, she wanted to kill me! I insisted that the hall would look much better in its natural state. Weeks following, together with my dad we carried out the job (even though he did not like doing this work – he disliked jobs like this and could never handle a paint brush!). My dad was a great tailor and craftsman and specialised in home and theatre furnishings. I always loved to recycle anything and at that time I would recycle unwanted clothes into cushions or other craft. I also started taking an interest in restoring old furniture and stencilling. As time went by I went into restoring antiques and learnt about different types of waxing and polishing. I also learnt the art of gild. My interest in furniture led me to study the Baroque period and its influence in Malta and in Europe. Since my teenage years I cherished a particular interest in interior design and studied this subject further. Tailoring and sewing were very natural to me since both my parents were ‘masters of these trades’. I have always ‘dreamed’ of changing old into new and my passion is converting old houses and furnishing them with antiques, vintage and new. I have carried out house conversions in Gozo and in Malta and have also designed and made furnishings. Old houses fascinate me – each one has a story to tell! I love their texture and get carried away when I enter an old house, always wondering about its history, past owners, their lives and the ‘soul’ within the living limestone! What are your favourites in the Maltese cuisine? 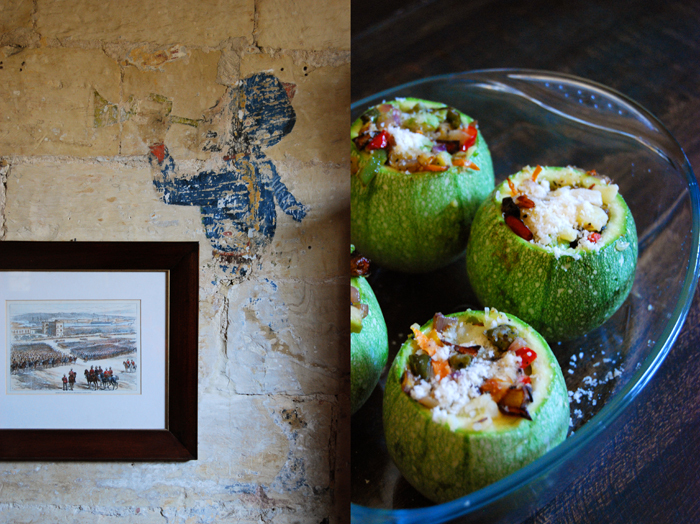 My favourite Maltese dishes are Qarabaghli biz-Zalza – marrows/courgettes with tomato sauce, olives and capers. It is a dish which has been in our family for many years. Homemade pea pies and ricotta pies which are also old recipes we have had in our family are other favourites. I also love minestra in winter and during the wintry months I prepare a different soup on a daily basis. 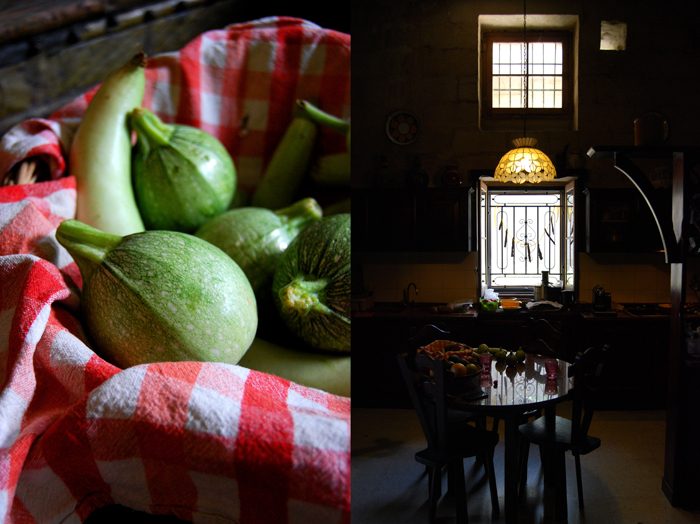 What is your feeling about the state of home food culture in Malta today? What has changed over the past 5, 10 or 20 years? Eating habits in Malta have changed drastically. 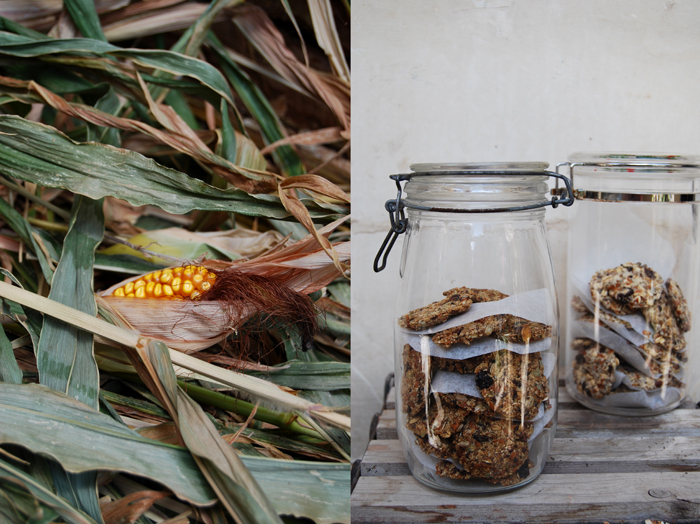 Unfortunately, over the years certain ‘commodities’ such as ‘takeout food’ are spoiling Maltese traditional food. There are people who tend to ‘cook’ quickly, directly from the freezer and straight into the microwave. Others buy ‘Take Away’ products and just either eat it out of a bag or just reheat upon arriving home. This is very worrying especially in families with young children as those young children will know nothing better! We see children in Malta who are already obese by the age of 9. I remember when my daughter attended San Anton School, a newly founded co-ed school in Malta, it was normal practice for some schools to provide a tuck shop for students where an array of junk food, carbonated drinks and sweets are sold. This new school took a health conscious approach and introduced a new concept of promoting health food to children. It is also the first school who had a nutritionist to monitor that all was in order. I was asked to prepare healthy sandwiches incorporating brown bread and vegetables for the school. This new approach turned out to be a success. San Anton School was the pioneer in promoting good clean and healthy food. I was also responsible for the organization of the food stall section for the Spring School Fair, held yearly where home cooked and healthy food was prepared. This was also a new venture undertaken with a lot of thought, love, passion and with a strong team of ladies who made sure that this would be a success year after year. Luckily in recent years some sections of the population have become more conscious of what they eat. Organic products are now widely available and people are also encouraged to eat seasonal produce. Another positive factor is that in these last ten years or so people are consuming more fish and opt for lean protein. The first dish I ever prepared was macaroni cheese when I was around 19. I remember I had bought my first recipe book and friends of my parents were coming over, so I had to give it a go! That very same day I remember preparing a Pavlova Gateau for a friend’s birthday. From that day on, I would have requests for pavlovas! I shop at different places in Malta. I must admit that since I follow a particular lifestyle I go all over the island buying products. No shops or supermarkets stock the same items therefore it’s a ‘go get it and drive until you find’ situation. However, as long as I can get the item and if I have the time I will drive to get it! I try to get organic as much as possible whether it is in a packet or coming directly from the fields. I am also lucky that we grow a lot of veggies and fruits in our garden so this produce comes in very handy. I also like to preserve in jars a lot of what we grow in the garden. At the moment I have just preserved the first two batches of this year’s sundried tomatoes! I happen to like Lebanese food a lot and since there are some very good Lebanese restaurants in Malta I just love going there. Vegetarian food is also available. I like Kebab Ji in Tower Road, Sliema and also Ali Baba in Gzira. The food is very authentic and exquisite! I love a coffee at Busy Bee in Msida and Santa Lucia in Attard. I also like to go to cafeterias in Mdina and Birgu. Who was your biggest influence in the kitchen? I come from a family of female cooks but the biggest influence in the kitchen has to be my great grandmother Nina Blake. I never knew her personally but I feel very close to her from all the wealth of stories I have heard from my mother and my aunt. I still have many of her original recipes, which were passed down to me. Nina was married to an Englishman, Edward Blake, at a very young and tender age. By the time she was 18 she became a widow and also had a baby girl (Maria, my grandmother). Along the years, she was the breadwinner for the family. Maria, my grandmother was brought up by her own grandmother and Nina found herself working as the head cook in the kitchen of the Admiral of the British Navy. She lived with the Admiral’s family in Kalkara and would visit her mother and daughter in Birgu where they lived once a week. Then there came a time when she left Malta with the Admiral’s family and travelled to England and France with them. Her travels with this family took her as far as Japan and India. She was away from Malta for some years and when she made enough money she came back and had a little shop where she made fabulous little pastries, cakes and sweets. She must have been an amazing woman at a time when women did not know anything better than raising children and staying at home. She gathered many cooking recipes from all her travels, especially recipes for English pastries, cakes and sweets. My mum and my aunt were also two amazing cooks who also influenced me with their cooking. Where do you get your inspiration for your recipes from? 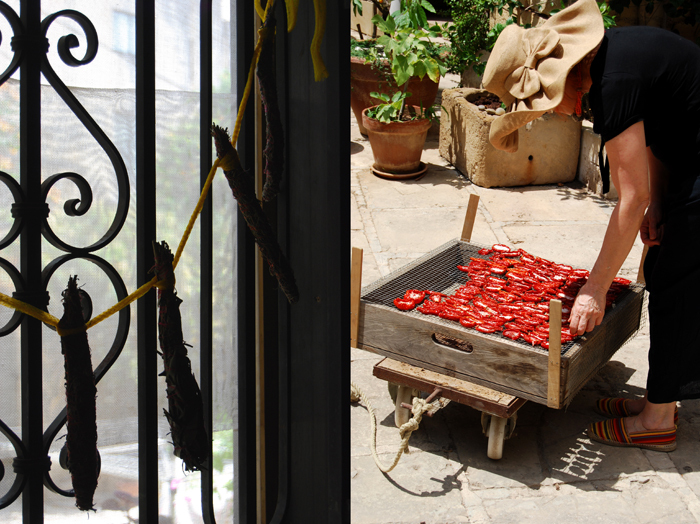 Being born and bred in a country like Malta gives me a lot of inspiration to create a recipe – bright blue skies, our blue sea, the buildings, textures, markets, people …, also, when I travel, cultures and people inspire me to cook. Colours in the garden and the fragrance of herbs and fruit also do. Even the simplest and most humble ingredient will inspire me to create a new recipe. 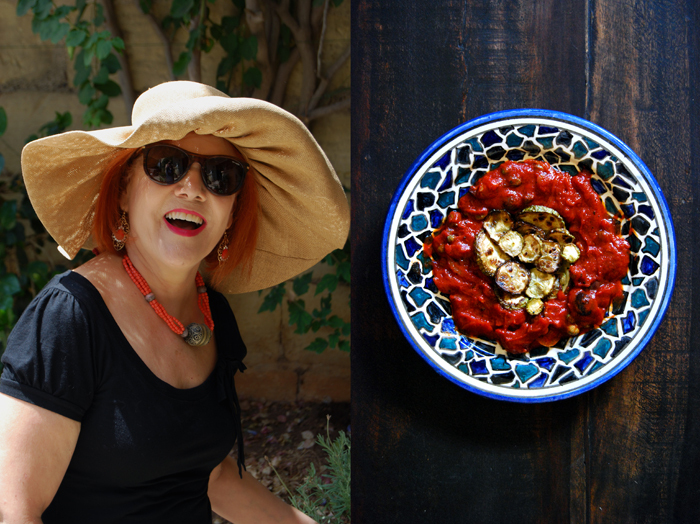 For eat in my kitchen, I chose to cook Qarabaghli biz-Zalza (marrows/courgettes in tomato sauce) and baked marrows with a vegetarian stuffing (a recipe I created many years ago). 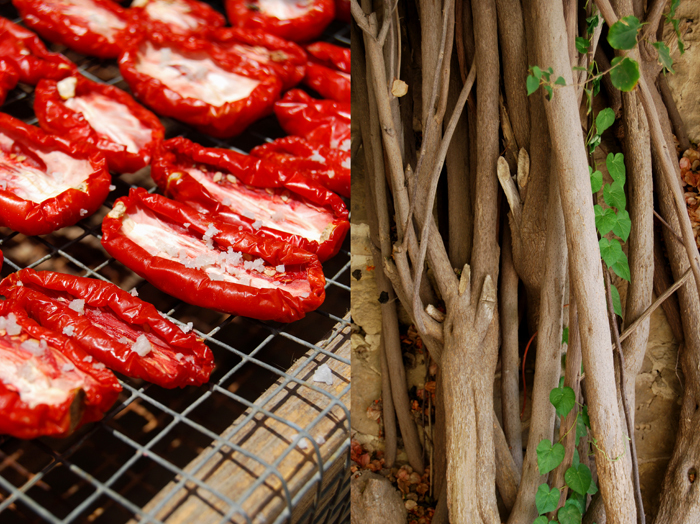 I chose these two recipes, since besides eating them hot, they can also be enjoyed at room temperature, especially on the long hot summer evenings in Malta. I remember my mum preparing Qarabaghli biz-Zalza and in the evening we would go to the beach and eat this dish with Maltese bread. Really delicious. I would ask my daughter, Alexia to prepare Penne all’Arrabbiata for me. I will look around in my kitchen and garden for ingredients. I would make Hobz biz-Zejt and bruschetta, I always have vegetarian sushi (which I prepare on a daily basis) at the ready, definitely a rucola salad (freshly picked from the garden) with fresh plump tomatoes, julienne carrots, sunflower, hemp and pumpkin seeds, home prepared sprouts, all served with grilled goat cheese, home made sundried tomatoes and garden grown olives. A delicious pasta served with fresh tomatoes and freshly handpicked basil. Sparkling or still water, fresh fruit, fresh fruit juice and homemade vegan Ice cream will also be on the table. All accompanied by a lovely glass of wine – red or white. My childhood’s culinary favourite was minestra, minestrone. School friends and others used to laugh at me as, at that time, it was a ‘poor man’s meal’. But since I only ate vegetables, it was my favourite meal, still love it to bits. I love to cook with others whether it is with one person, two, three or four. It is always nice to share ideas and share food. I have absolutely no problem improvising meals, I do it all the time. Can’t think of any meal that I won’t cook again – nothing comes to mind. One great woman indeed! Am so proud of her!